We target consumers on the go by geo-location, demographics, industry, category etc. with managed campaigns, affordable rich media ads, and best in class service. We help business local or global to increase their revenue, connect with customers, lead people from search for deals to purchase. Our live representative will further assist you. For businesses: Keep all hands free and fuel your growth by using accurate technology and targeted rich media ads with maximized effects. 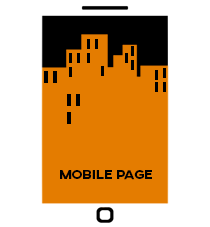 For people: Make ads better through integrated mobile technology in rich content and user friendly environment. Users can find your information location service or products faster and easier.